If you're not joining us just to relax and enjoy the immediate scenery, our food and gardens, there is so much more nearby. Norton, 1 1/2 miles from Presteigne, is in "English" Wales, i.e. that part of Wales on the English side of Offa's Dyke, the boundary erected by the eighth century king of Mercia. 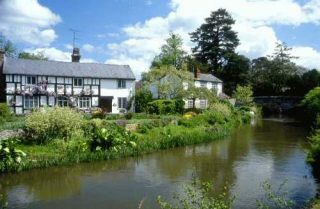 It is a border village, less than a mile from Herefordshire and only a few miles from Shropshire. 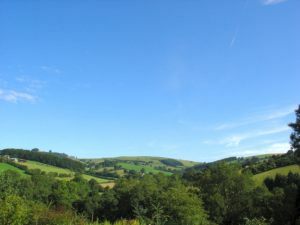 Radnorshire is archetypal, uncluttered, green hill country and The Old Vicarage is at 700 feet above sea level, commanding wonderful views across farms and cottages to distant hills. Bruce Chatwin's 1983 novel, On the Black Hill , is the novel about life in Radnorshire. The description of a century of rural life in the remote valleys and hills on the edge of the Radnor Forest still rings true today. 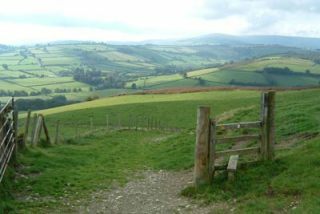 Once you have walked the steep paths and winding lanes of the Welsh borderlands, you will agree with one of the novel's characters that 'the road to Heaven led up to the Radnor Hills'. ​Presteigne is called Llanandras in Welsh, although it is unlikely you will hear much Welsh spoken so close to the border. 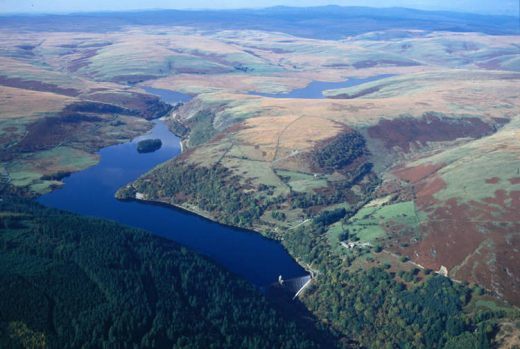 Radnorshire remains largely unknown and remarkably unspoilt. Partly because of this in November 2002, Presteigne was chosen by Country Life as one of the top ten places to live in Britain and came first in Wales. Presteigne is the old county and assize town of Radnorshire and, when he visited in 1867 (at the time The Old Vicarage was being built), George Borrow described the town as 'Neither in Wales nor England, but simply in Radnorshire'. It is a small, thriving border town, which visitors note has more butchers, greengrocers and 'real' shops than many a large town elsewhere. Much the same can be said of Knighton and Kington, both close by along the border. Judges LodgingPresteigne, although just over the River Lugg in Wales, has the look of a Herefordshire town. Its grandest building is the classical Judge's Lodging, which now houses the award winning Judge's Lodging Victorian Museum - an authentic recreation of life in the Victorian era. 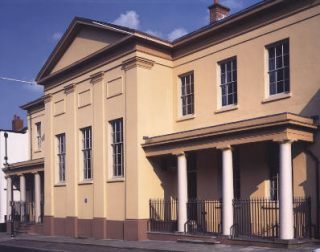 (Visit www.judgeslodging.org.uk ). The Radnorshire Arms is a very fine black and white building dating back to 1616 with its original studded door. St Andrew's Church, Presteigne is the finest church in Radnorshire and houses a wonderful early 16th century tapestry, which may once have hung, as part of a set, in Canterbury cathedral. In the churchyard there are two gravestones marking the tragic life of Mary Morgan, who was executed for infanticide aged 17 in 1805. Presteigne and the Arts The world-renowned Presteigne Festival of Music and the Arts takes place every year over the August Bank holiday. The festival has a wide variety of musical and non-musical events and mixes works from the classic repertoire with world premieres. Visit www.presteignefestival.com for more details. The Sidney Nolan Trust administers a collection of paintings, works on paper and prints by the late Sidney Nolan (eminent Australian painter, who retired to The Rodd, Presteigne). The Trust holds regular exhibitions of works by Sidney Nolan and other artists in a restored tithe barn at The Rodd. For more information about Presteigne, the Town of Festivals visit http://www.presteigne.org.uk/Home, including local bus and train services. Antiques - there are antique shops in Presteigne, Leominster, Ludlow, Hay and Ross on Wye. Bird watchers love the wide range of species in the area. At all times of the year we never cease to enjoy watching the buzzards hang in the sky above the valley. A real treat is to visit the Kite Feeding Station www.gigrin.co.uk at Gigrin Farm or the Small Breeds Farm Park & Owl Centre near Kington: www.owlcentre.com. National Trust properties, Croft Castle (left) & Berrington Hall (right) are only a short drive away. Brockhampton Estate, a little farther away, has a medieval manor house, tranquil woods and lush parkland, which is home to a rich variety of wildlife. English Heritage: Mortimer's Cross Water Mill - a rare one-man-operated 18th-century water mill in part working order. Nearby there are attractive gardens and woodland walks, Stokesay Castle is a short drive away and close by is Stokesay Court, where Atonement was filmed. Driving and days out - Because there is so little traffic in the region, driving here is a joy - although don't expect to maintain fast speeds along our picturesque, winding roads. We measure distance in driving time not miles. The AA recently described the journey from Presteigne to Aberystwyth as one of the great scenic drives of Europe, especially if you take the detour up the Elan Valley to see the impressive Victorian dams set in fabulous scenery, just beyond Rhayader. Visit the excellent Visitors Centre..
Gardens The Old Vicarage is within 25 miles of over 60 beautiful gardens in the National Gardens Scheme, 12 of which are open to the public on non-NGS Open days. We particularly recommend Stockton Bury Gardens at Kimbolton (near Leominster); Hergest Croft Gardens at Kington, (www.hergest.co.uk ) ; www.bryansground.co.uk, at Stapleton, Presteigne (www.bryansground.co.uk); and Hampton Court Gardens at Hope-under-Dinmore (south of Leominster). Golf - Kington Golf Club (01544 230340) and Knighton Golf Club (01547 528646). Both clubs are very high and afford wonderful views. Clun - a nearby, pretty small Shropshire town with ruined castle, large church, gift shops and a river running through. 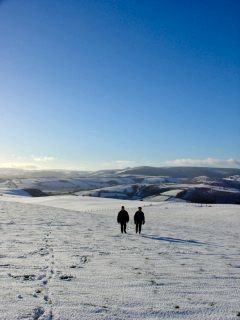 Herefordshire has much to offer the visitor. A good website is www.visitherefordshire.co.uk/ which has information about Kington, Leominster, Hereford. Norton is close to the Black and White Village Trail, which winds from Kington to Leominster, through the beautiful villages of Pembridge, Eardisland and Weobley. Leominster Has a fine priory church, market square, good food and antique shops. 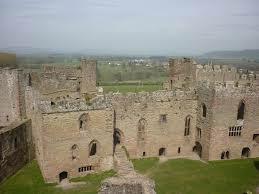 It is not so smart and chic as Ludlow, and for that reason some visitors prefer it's more 'earthy' feel. Llandrindod Wells - the county town of Powys is one of the many spa towns that began in the Georgian era and grew rapidly once the railways provided easier access. Pevsner describes it as "an oasis of redbrick in the greenest of landscapes". Ludlow The Castle and church (almost the size of a cathedral) are interesting and the market, food shops, cafes and restaurants will encourage you to tarry a while. Shobdon Arches are the remains of an ancient church, still bearing examples of the work of the renowned Herefordshire school of medieval church sculpture and the exquisite Strawberry Gothic Shobdon Church (shobdonchurch.org.uk) is also well worth a visit. Shrewsbury is a fine medieval town about an hour's drive from Norton. On the engineering front, the dams in the Elan Valley and the railway viaduct at Knucklas are both spectacular. 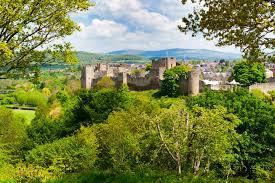 Welshpool boasts Powis Castle (NT) and a steam railway (an hour's drive through lovely Montgomeryshire).